LeBron James has been known for his philanthropic endeavors over his career. With the LeBron James Foundation, the Lakers star has been able to help those in need and give back to the community. Perhaps his biggest contribution to his hometown of Akron, Ohio, is the "I Promise" school which is currently in its first year. The school only has third and fourth graders so far, with a promise to give low-income families better access to education. In a new report from the New York Times, it appears LeBron's new school is a bigger success than many originally thought. So far, students have exhibited exceptional test scores that are a huge improvement on what they came into the school with. LeBron spoke to the Times about how proud he is. 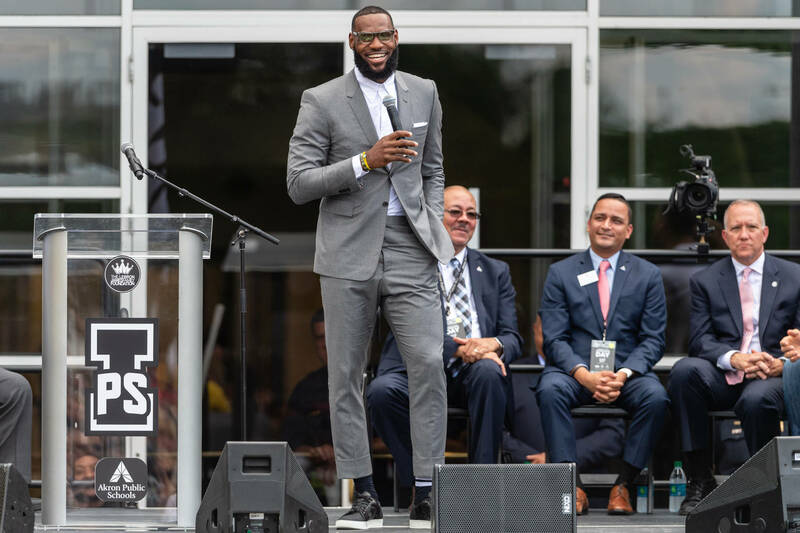 Through the LeBron James Foundation, these students are able to receive not just a great education, but clothing and snacks if their parents can't afford it.